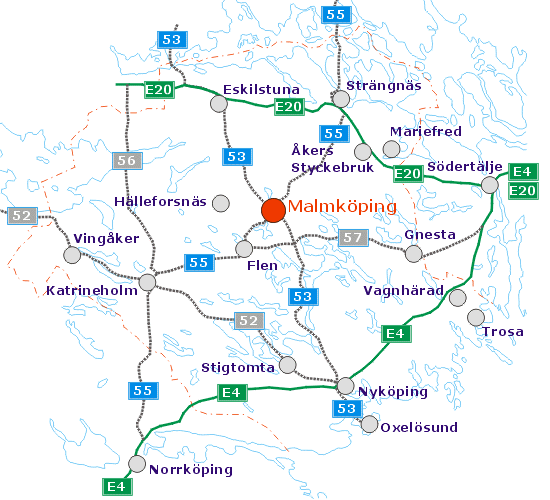 Malmköping is at the intersection of highways 53 (Eskilstuna-Nyköping) and 55 (Strängnäs-Flen). It is 115 km from Stockholm, 35 km from Eskilstuna, 56 km from Nyköping and 88 km from Norrköping. When you reach Malmköping, you will see our sign on highway 53 on the south side of town. 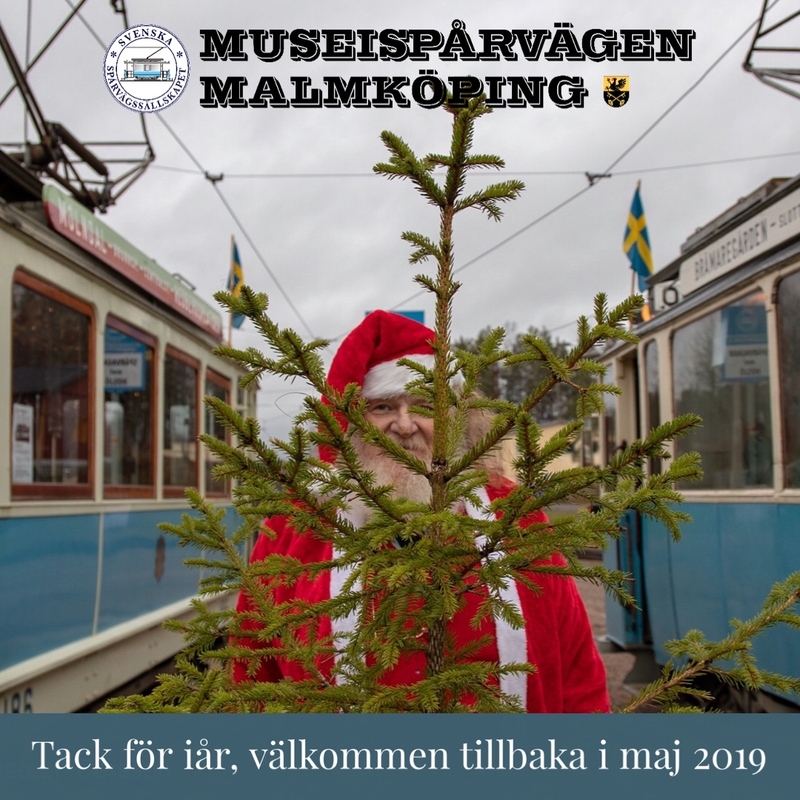 If you would like to travel by public transport to our museum, you can find good connections via Resplus and their Resrobot, and book tickets (Tågplus) via SJ. Specify ”Malmköping” or ”Malmköping bstn” as your destination. See the Malmköping map for a closer look at how to travel from the bus station to the museum tramway. 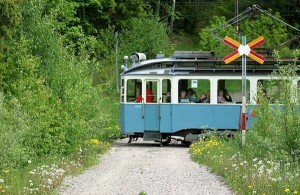 If you are coming from Strängnäs, you can often transfer to the tram at Hosjö. Sometimes we can provide a ride from the bus station. Ring 0157-204 30 beforehand to find out.